Monthly menstrual bleeding is something all women have in common. Over the course of her lifetime, each woman will send approximately 16,800 disposable pads and tampons to the landfill. For North America alone, that adds up to about 20 billion pads, tampons and applicators every year. That’s a footprint worth considering! Even with literally hundreds of different options available on drugstore shelves, the naturally-minded woman encounters difficult choices. Mass market brands are almost exclusively made from wood pulp, rayon, and cotton, with a plastic (read – petroleum) lining. Pulp is often bleached with chlorine dioxide, which, according to the FDA, can generate dioxins at “extremely low levels“. Many pads contain absorbent polymers which can be derived from petroleum or plant cellulose. Several brands also add synthetic perfumes and odor neutralizers. Even seemingly simple cotton is not so innocent; covering only 2.5% of the world’s cultivated land, cotton uses 16% of the world’s insecticides – more than any other single major crop. As if this weren`t enough chemical dousing, most cotton in the U.S. (96% in 2011) is genetically engineered to withstand large doses of herbicide. 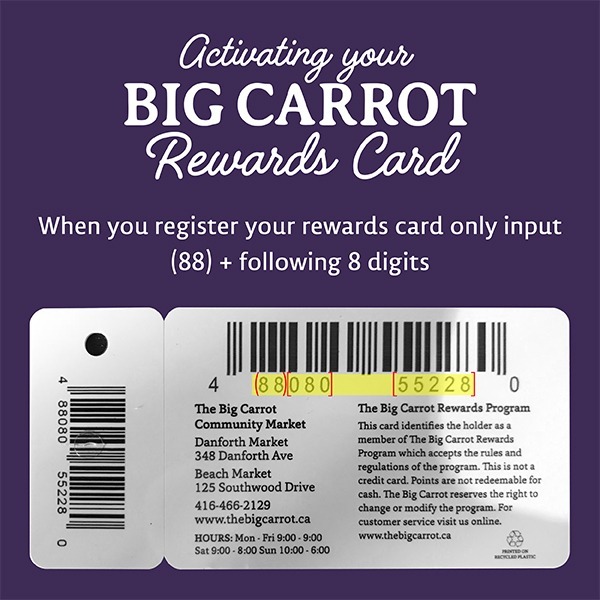 Luckily, the Big Carrot carriers a variety of options for women seeking better alternatives. 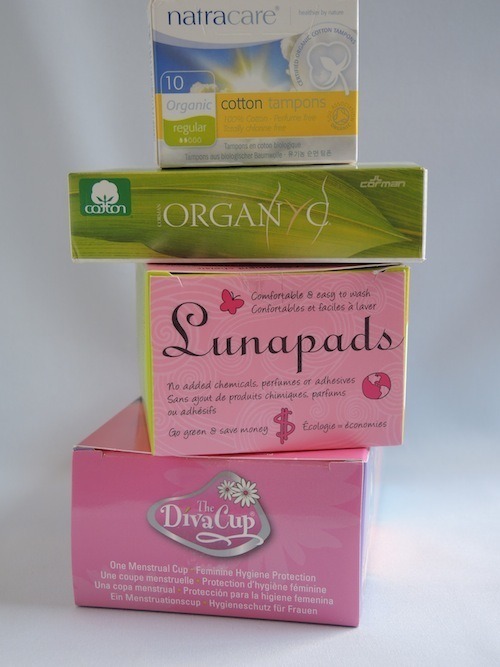 Organyc (www.organyc-online.com) makes a full line of disposable pads, tampons, and liners from certified organic cotton, with biodegradable linings and outer wraps. Natracare (www.natracare.com) also offers an impressive selection of pads, tampons, and liners made from certified organic cotton, sustainable wood pulp, with biodegradable lining and wraps. In addition to these two fine European lines, Canadian company Nuture Verde (www.nurtureverde.com) offers compostable pads and liners from annually renewable resources. For those who want to avoid disposables altogether, B.C.-based Lunapads (lunapads.com) has been making re-useable cotton pads since 1993. Its unique design of removable, highly absorbent fleece inserts allows a woman to use a single pad per day, simply changing the inserts as needed. Available in a variety of shapes and sizes, the soft flannel pads are found by many women to be more comfortable than disposable pads, which can be stiff. Another non-disposable option is the DivaCup (www.divacup.com). Internal menstrual cups have been around since the 1930s, but only recently have they re-emerged in the mainstream. Made from biocompatible silicone, the DivaCup carries the ISO certification for medical devices, recognized in over 160 countries. Unlike a tampon, it can be worn for up to 12 hours. This, in addition to easy portability, makes it a great option for travel or sports. All that`s needed is clean water. It`s a great sign that the market for natural feminine care has grown and expanded over the years. But one challenge of wider selection is knowing which to buy! That`s why we at the Big Carrot have put together our `Pad Book` – a sample catalogue that shows the size and thickness of each product. Periods are challenging enough without worrying about where a pad comes from, where it`s going, or the effect it might have on some of our most sensitive areas. Spread the word about alternative feminine care! All of the brands mentioned above offer individually wrapped pads, making it easy to share with an “uninitiated“ girlfriend who hasn`t tried the comfort of natural feminine pads.